Sprint announced that their Samsung Galaxy Note 2 users are in store for an update. But if you were hoping that it would be the recently announced Android 4.2 (which is still called Jelly Bean, in case you weren’t aware), you’ll have to tone down your expectations a little more. The good news is that the update does fix some of the issues that Galaxy Note 2 users have reported and gives them access to one of the phablet’s most awesome features — multi-windows. 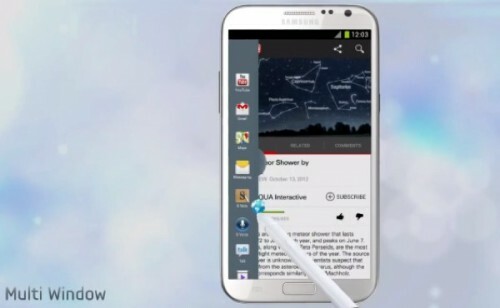 We’ll keep an eye out for more news on Sprint’s version of the Galaxy Note 2. Until then, make sure to get your hands on this software update so that you can maximize your experience with the device. Are you glad that your Sprint Galaxy Note 2 is getting this software update? Were you hoping for a little more? Discuss in the comments below!